It’s party season and Red Tiger Gaming are handing out invites for a sought-after masquerade ball. The dazzling event comes in the form on a 5 reel slot game which offers its players…I mean guests….a 1,000 times multiplier jackpot! 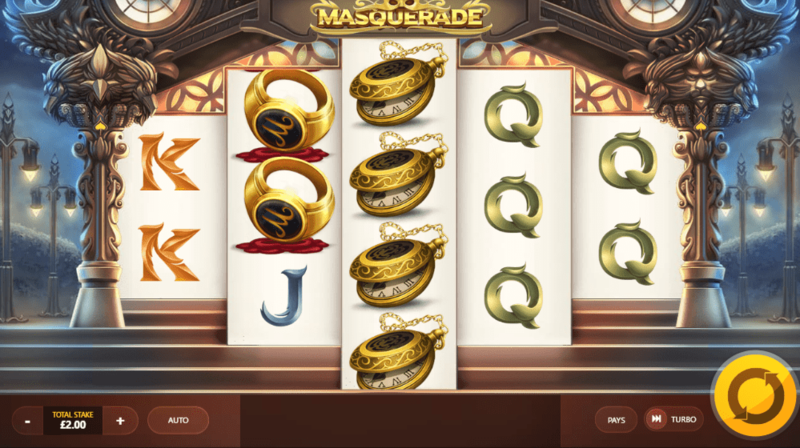 There are plenty of bonus rounds on offer and these are triggered through the golden mask symbol! View UK slots online here today! The developers have worked to produce high-quality graphics that are compatible with mobile devices, without downloading the game! So it really is a black tie event with this iconic online casino slot games. Red Tiger gaming has provided online-slot machines to the market since 2014 and provide high-quality gaming to players in both Europe and Asia. They are well known for their iconic branding which encompasses the strong head of a red tiger! Look out for their games across a range of online gaming platforms and casinos. What makes their content so appealing is the fact that they specialise in developing high-quality slot games to play online – aiming to create iconic and creative themes for their players. That is certainly achieved in this online slot game which is likely to appeal to many audiences due to the fact that the bets have a wide variance. Find out more at WizSlots. Symbols come in various forms including extravagant golden rings and expensive pocket watches. The beautiful red-headed woman holds a high status at the ball so be sure to keep an eye out for her too! So get ready to party and experience the best-rated slots to play today! If you are successful in lining up five of the famous redhead symbols across the reels, then you will be rewarded with a respectable 1,000x line bet multiplier. Five rings in a row will pay out 500x. Five of the watches will award 300x and five top hats will pay 250x. You might be missing a slot games best friends with this one as there are no free spin or wild symbols available in the bonus rounds! 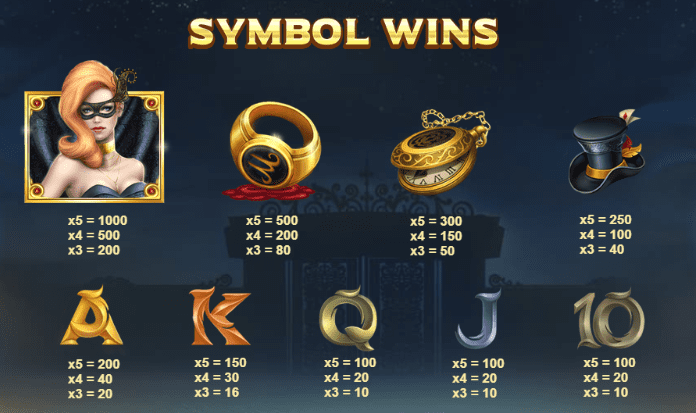 That is why the golden mask holds such value as that is the symbol that is going to increase your winnings dramatically. To go further, the symbol will appear in stacks on the reels to aid in forming winning combinations. This game is worth a play because its 20 paylines boast a medium to high variance level and its 95.22 per cent return to the player statistic. The game is also well thought out to attract a range of players as stakes can be set from as little as a penny per line up to 25 pounds per line. So, get yourself dressed up and down to the ball to meet the red-head, collect some prizes and have a good time! The theme is exciting and inviting overall and the lack of wilds make a change because other symbols do the job of adding value to the game! Like any night out, you never know what is going to happen and that is certainly the case here. Like Masquerade? Why not try Dead Or Alive?